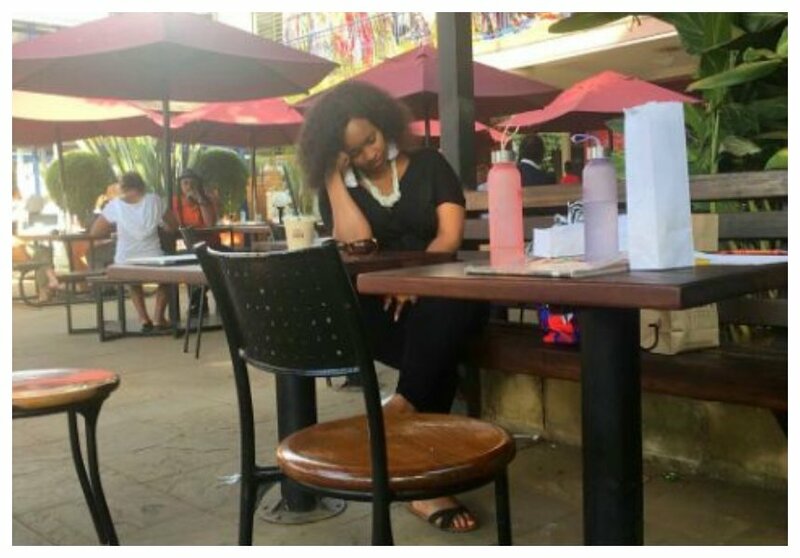 Last Sunday June 3rd 2018 Grace Msalame was photographed taking an afternoon nap at a city restaurant while seated alone. The photo of Grace dozing off went viral as Kenyans on Twitter (KOT) started hashtag #GraceMsalameChallenge to speculate what could have caused the mother of two to fall asleep at the odd hour of the day. Grace Msalame was forced to explain why she dosed off in public on her Vlog. She reveals that she is suffering from iron deficiency anemia – a condition that occurs when your body doesn’t have enough of the mineral iron. The most common symptoms of iron deficiency anemia are general fatigue, shortness of breath, and dizziness. This explains why Msalame was seen dozing off in public. “You see from the longest time I have had low levels of iron. In fact I have never been able to give blood because of my low level of red blood cells count. And the most common symptoms of iron deficiency or anemia are extreme exhaustion and lightheadedness which for me tends to really kick in during that special time of the month. But what am learning is that this reality is not unique to me at all. But 1 out of 4 women in Kenya suffer from iron deficiency and don’t even know it. So that’s why this year am glad to be partnering with Royco Kenya to create more awareness about iron deficiency,” Grace Msalame explained on her Vlog. Grace Msalame has since partnered with Royco Kenya with the aim to create awareness on iron deficiency. The mother of two wants Kenyans to help her spread the word about the condition. “Here though is why & I hope you can help me spread the word as we aim to create Awareness on Iron Deficiency with Royco Kenya. Simply post a sleeping selfie & look out for what RoycoKenya have in store to help us #GetOurIronUp because the main symptom of Iron Deficiency is Exhaustion which we sometimes take lightly&think we’re just tired! But 1 in 4 Women suffer from Anemia here in Kenya &don’t even know it! Royco Kenya are aware of this&now have an Iron Fortified product to help us #GetOurIronUp Hence why posting either a sleeping selfie of yourself or someone close to you who wouldn’t mind will help us create awareness & ring true to this very common symptom,” wrote Grace Msalame.